Alex Belisario, senior director for college student life at Crown and Merrill colleges. The award recognizes a current member of the association who has made significant contributions to WACUHO through their dedicated service and outstanding leadership. Belisario has held a number of positions on the WACUHO executive committee including newsletter editor, president elect, and president. She’s been the historian for nearly a decade. Together with a group of WACUHO colleagues, Belisario is a founding member of geekEd., a group of educational professionals who explore experiences of and issues related to students who identify as “geeks.” The group has been presenting at various conferences since 2011, including San Diego Comic-Con International. The Western Association of College and University Housing Officers is a professional organization dedicated to exceptional collegiate residential experiences by promoting meaningful connections and providing innovative, relevant professional development and services to its members. Charles L. Miller was the 30th president of the association and exemplified the highest level of dedication to the profession, provided outstanding leadership and role modeling for seasoned veterans and new professionals alike. 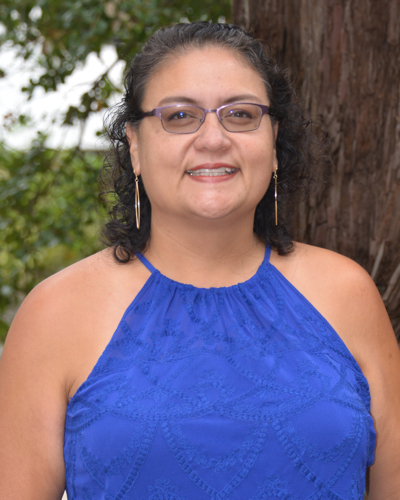 Belisario has been with UC Santa Cruz since 1995, when she was hired as an area coordinator (now known as a coordinator for residential education or CRE) at Crown College. She went on to serve as a college programs coordinator and associate college administrative officer. She was appointed the college administrative officer for Crown and Merrill Colleges in 2004 and now holds the title of senior director, college student life for Crown and Merrill colleges. Belisario has served the campus by helping to develop and implement campus conduct dabases. She is also working with the group that has created the campus’s first online diversity and inclusion introduction, which will be launching for the incoming fall class. “I came to UC Santa Cruz because I love the college system. The support and homebase it offers students is unique and not offered at most institutions,” she said.